On your mark, get set, go! Sports fans get ready for some incredible art and photo images. With the new Royalty Free Premium Sports Image collection, every project will be a winning hit! 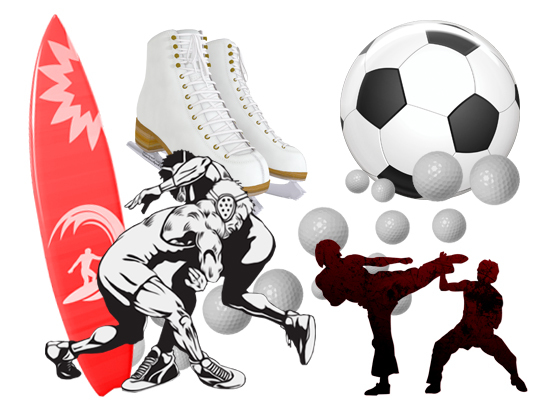 Breathtaking clip art images capture the action-packed thrills of football, soccer, running, baseball, basketball, cycling, skating and other popular sports. This impressive array of stock photos and stock images defines the competitive spirit of athletic games. Put together spectacular sports-themed designs for every project need. More than 1,000 high quality images. Royalty free images for commercial use without limitations! Suitable for personal and commercial-business use, including advertising. Let your creativity go the distance and knock your projects out of the park! This collection puts you in place for a triumphant finish every time! Liven up your personal and business projects with sporty illustrations, drawings and photos. Royalty free images bring the athletic world to you in an incredible selection of art. 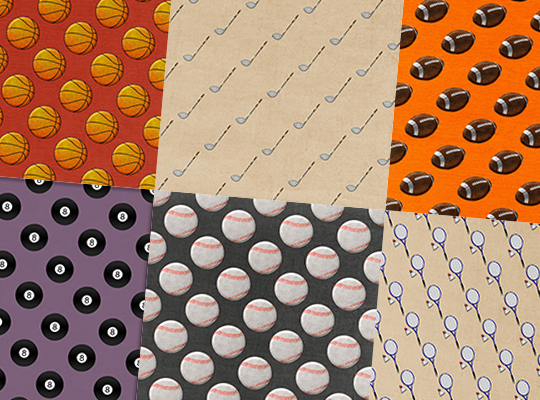 Find sporty backgrounds and borders to enhance your all of your designs. The Royalty Free Premium Sports Image collection is packed with dramatic sports stock photos and athletic-themed art perfect for your scrapbooks, flyers, brochures, posters, special invitations and more. 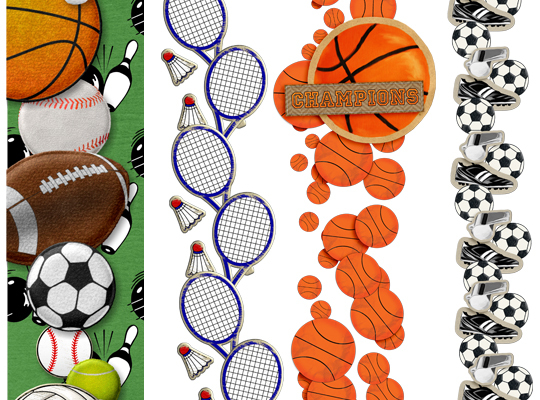 Begin your projects with sports themed backgrounds or borders. 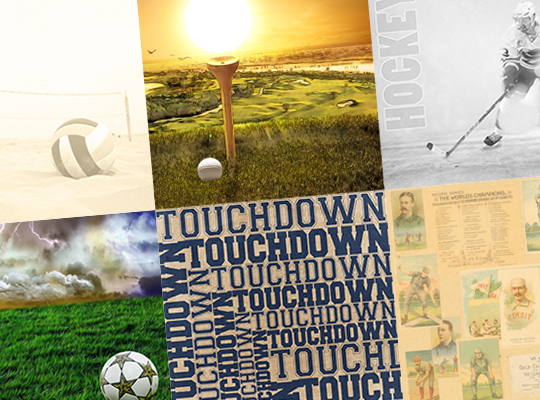 These sports royalty free images will take your designs to the next level. You'll be a die-hard fan of this clip art collection from the start. Sports images, backgrounds and borders will spark your creativity. Create winning projects time and time again! Start designing with these amazing royalty free sports images today. Windows Vista®, Windows® 7, Windows® 8¹, Windows® 10 Pentium® II 300MHz processor or faster, 128MB RAM, 7GB hard drive space, DVD-ROM drive, keyboard and mouse. Macintosh® OS X 10.10 – 10.12¹, Intel® Core Solo processor 300 MHz or better, 128 MB RAM, 7GB hard drive space, DVD-ROM drive, keyboard and mouse. ¹Administrator privileges are required to properly install the program on Windows Vista®, Windows® 7, Windows® 8, Windows® 10 and Mac® OS X.